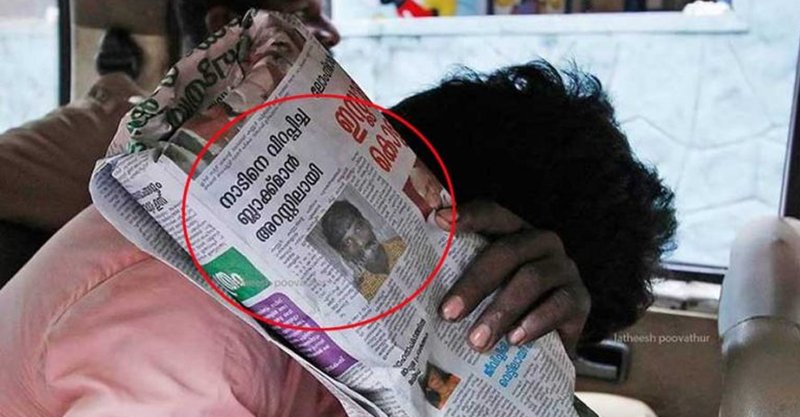 The Black Man who was spearding fear in the kannur city through several robberies has been arrested. Tamil Nadu Thanjavur Padukkottai native Rajappan (33) who has been robbing different areas in Kannur city during night hours was arrested by the Town Police. He used to plan robberies staying in Kannur and Wayanad. Rajappan was nabbed while trying to tamper the lock of Bigg Boss Tailors in Kannur Stadium Complex on Friday night. The police got a secret information that he had reached the town and he was caught in the search that followed. Others accompanied him runaway. Screwdriver, hacksaw blades and cutting players were found from the bag he was carrying. He had stolen a gold chain of 4 sovereigns from a house at Adoor Palam four months ago and robbed a 1.5 sovereign chain from another house the very next day. He has been charged with more than 50 cases in Salem and about 20 cases in Thalassery. He was caught from Thalassery in 2008 and was released after the jail term ended in January. He focused on Kannur to carry out robberies. The police team headed by Kannur Town Sub inspector Sreejith Koderi arrested Rajappan. He was produced in the court on Saturday and remanded.